(a) Install the No. 3 parking brake cable assembly with the bolt and 4 nuts. (b) Install the No. 3 parking brake cable assembly to the backing plate with the 2 bolts. 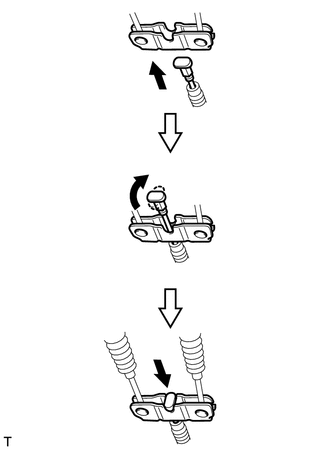 (a) Refer to the instructions for Installation of the No. 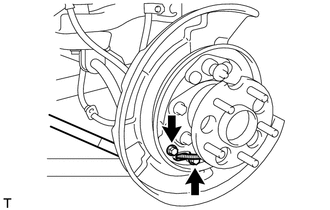 2 parking brake shoe assembly with parking brake shoe lever (See page ). (a) Connect the No. 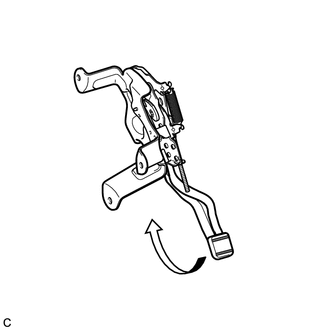 2 parking brake cable assembly and No. 3 parking brake cable assembly to the parking brake equalizer to install it. The slits of the parking brake equalizer face upward. (a) Install the No. 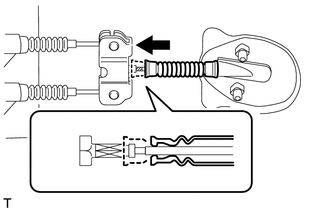 4 parking brake cable assembly with the 2 bolts. (b) Connect the No. 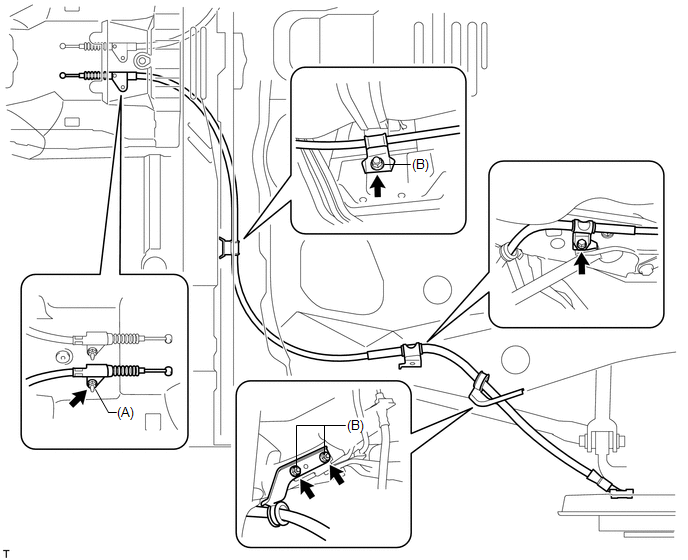 4 parking brake cable assembly to the parking brake equalizer as shown in the illustration. 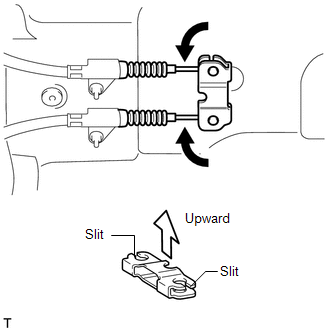 (c) Slide the rubber boot to engage it as shown in the illustration. (a) Pass the No. 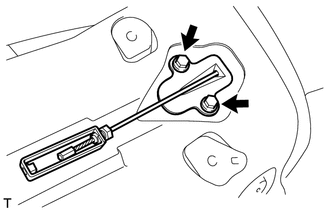 1 parking brake cable assembly through the parking brake pedal assembly. (b) Install a new clip to the No. 1 parking brake cable assembly. (c) Depress the parking brake pedal. 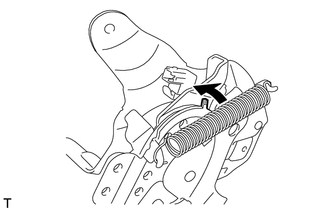 (d) Bend the parking brake pedal claw to hold the No. 1 parking brake cable assembly. (e) Release the parking brake pedal. 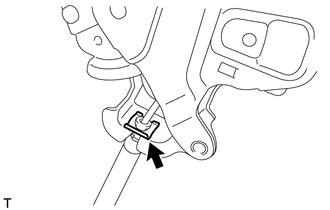 Refer to the instructions for Installation of the parking brake pedal assembly (See page ).